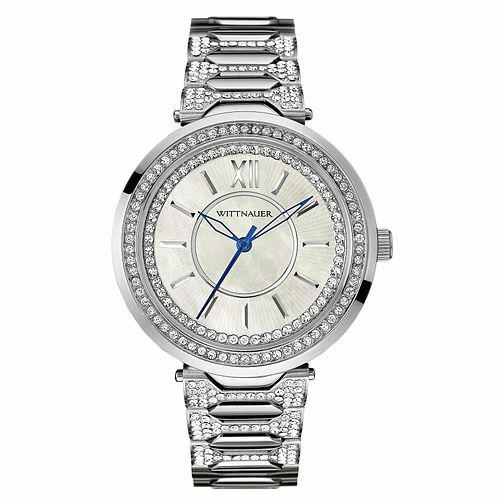 This vintage inspired piece from Wittnauer is the epitome of glamour; encrusted in crystals and with a mother of pearl dial, this piece will make you stand out and shine. Whilst this is a very show-stopping piece, it retains classic features such as the blue hands on the dial which add to its traditional style. A great evening piece for the season.